Ping An Bank is a premium Chinese bank called Peace Bank. 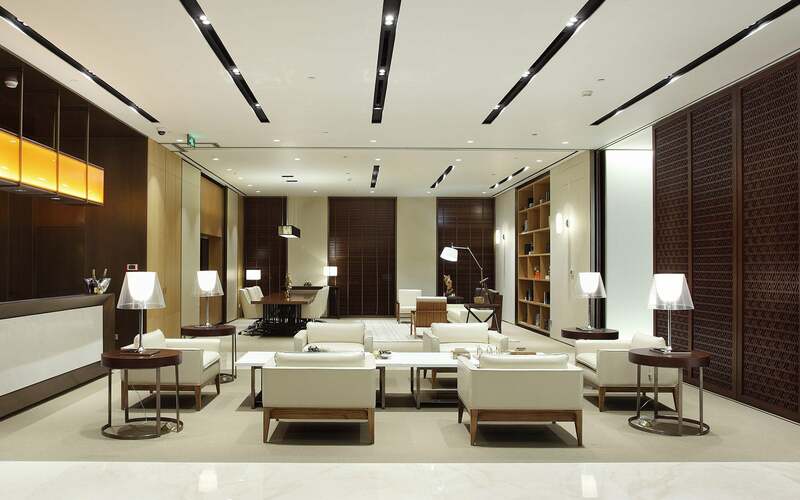 The design for the private bank’s Shanghai branch needs to convey luxury since the center is the first brand touch point for some customers. Moreover, this center is located in Shanghai, a multicultural city. Therefore, the design is a modern interpretation of Chinese design. The theme of the design is by using different styles of doors, including an antique Chinese door and modern sleek door. 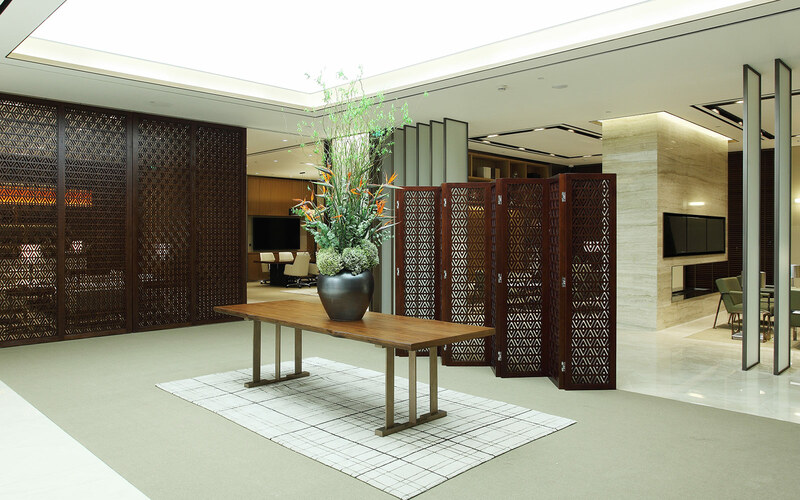 The doors serve as transition from reception to consulting meeting rooms, and from a lounge to a bar. 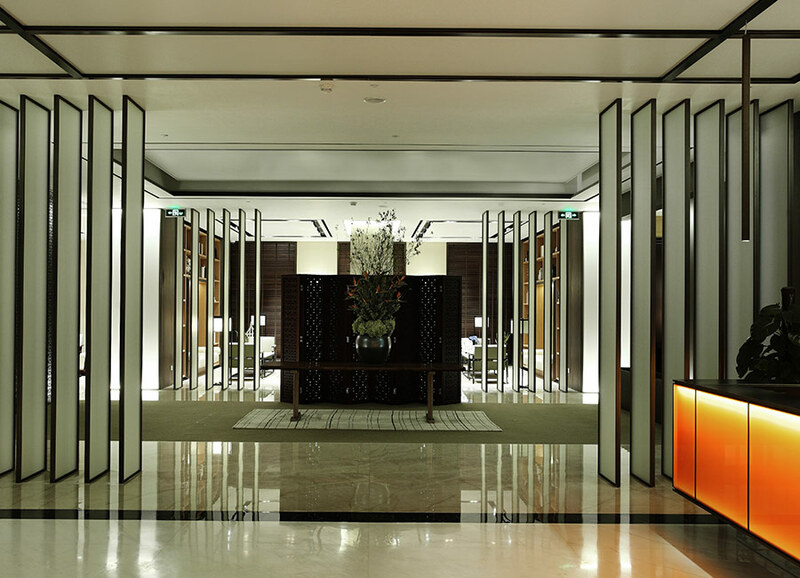 Defined lines are used to carryout this door theme, as seen in the ceiling, the cabinets, Chinese style partition and the flooring. 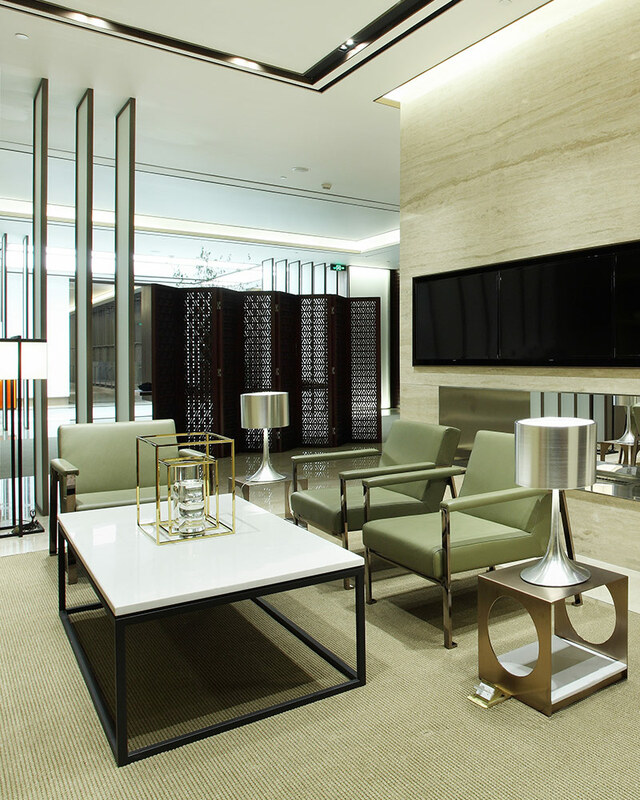 The design also needs to convey nature and peacefulness, reason for using earthy tones and wooden finishes. The light fixtures reflect skylight and moon.